A cylindrical shaped bag filled with corresponding material for required hardness in known as Punching Bag. Earlier, these kinds of bags were used in Martial Art trainings and Swordplay. Often, Sand, Rags and Grains are used to fill in the bag while some bags are filled with water. The design of a punching bag allows it to take repeated and constant physical abuse without breaking. The bag must also absorb the impact of blows, without causing harm to the user. These bags helps in strengthening the arms and hand muscles by continues punching the bags. Use of punching bags is a good warm up and builds the endurance and stamina of the body. Moving while punching the bag is a type of aerobic workout too that improves cardiovascular system. Concentration and power of the body enhances with regular use. Keeping on the toes, and transferring weight from one foot to the other, to throw a specific punch, will help develop core stability, and, as a result, overall body coordination. 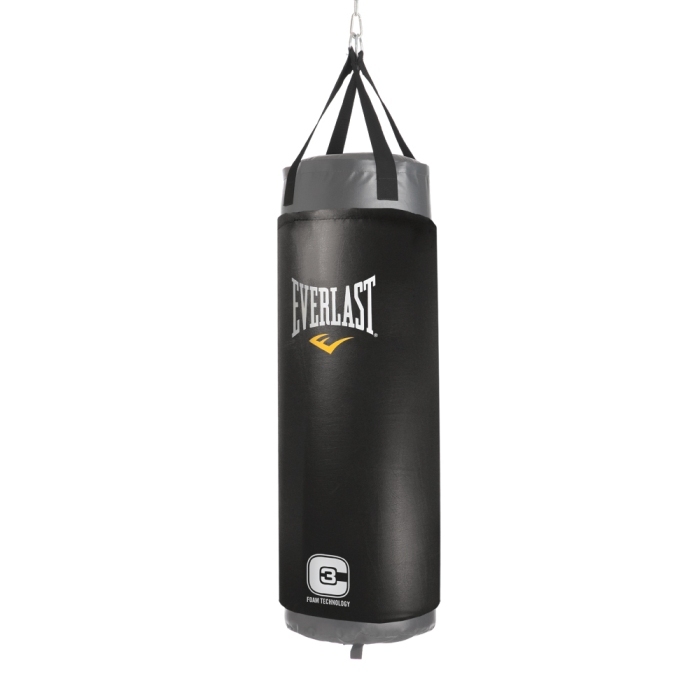 Based upon size, use and mounting method, the Punching Bags are of different types and covered with leather or vinyl. Speed Bags: These are small air-bags anchored at the top to a rebound platform parallel to flat surface. It is used for hand-eye co-ordination and shifting weight between feet when punching. These kinds of bag are generally filled with air and avail in variable sizes. Double End Bags/ Swerve Balls: These are almost similar with Speed Bags beside the material and shape is changed while bag is also attached to ceiling and floor as well. When you places punch on the bag, it reacts by swinging towards you. Maize’s Bag: These bags are used to improve Head Motion. Pedestal Bags: These are designed in non-cylindrical shape to practice upper-cut punches and mounted on a weighted pedestal. Upper Cut Bags: These are used in practice for jabbing, curl punching or low quick burst of high and low punching practice.